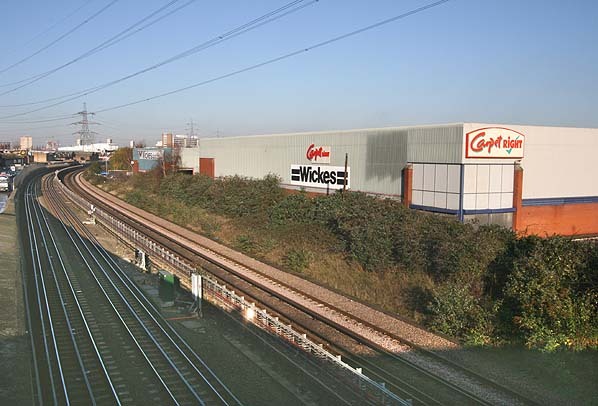 Present state: All trace of the original station has gone although an infilled bridge under Barking Road remains at the rear of the former goods yard, now Carpet Right's car park. Notes: The second Canning Town station had a small street level building on Barking Road and two side platforms. 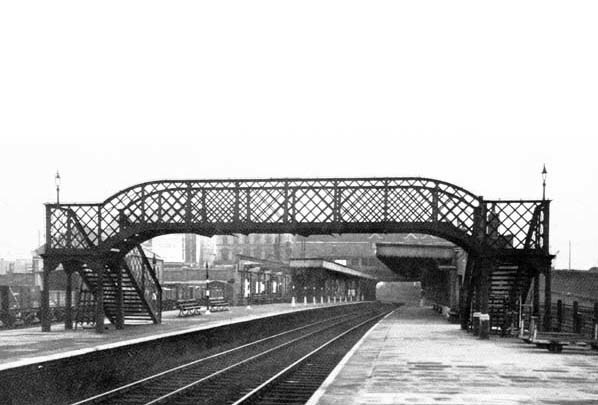 In 1895 a bay platform was added ion the east side of the station for Victoria Park services. Two goods lines passed on the west side of the station, these were not served by any platform faces. A goods depot was built by the London & North Western Railway, opening on 22nd August 1881, it was sited immediately east of the station. After 1st July 1950 it was known as Canning Town North. In 1932 a new street level building was provided on Barking Road. 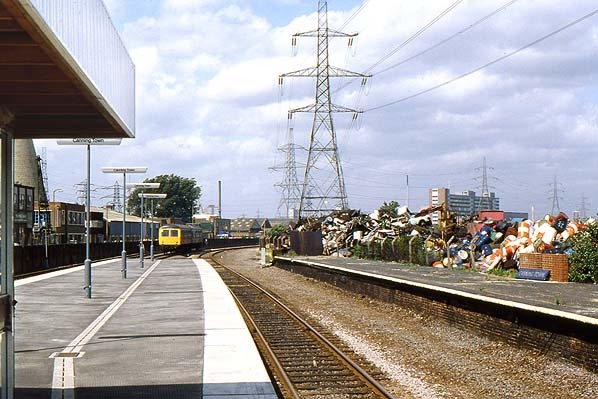 In 1979 the up platform was converted into an island as part of the rebuilding of the North Woolwich line with one of the former goods lines carrying passenger traffic. The down platform became redundant and the track was lifted. The 1932 street level building was demolished and a new building was provided on the corner of Barking Road and Stephenson Street. The new station was short lived, with the coming of the Docklands Light Railway and the Jubilee Line Extension, Canning Town was to become a major interchange station and it was decided to build a new station serving all three lines and a bus station on the south side of Barking Road, a little to the south of the original Canning Town station. 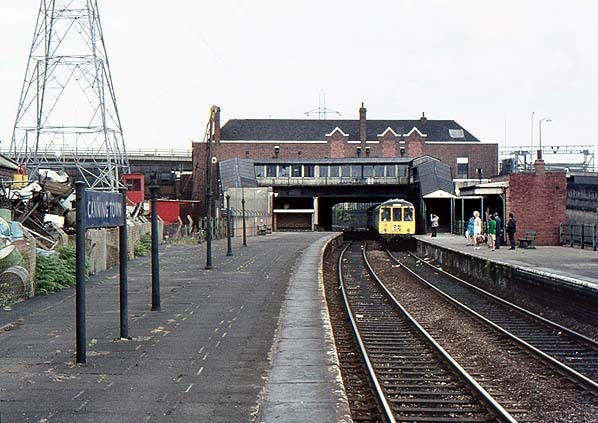 The service was suspended on 29th May 1994 while this work was undertaken and the station was immediately demolished. 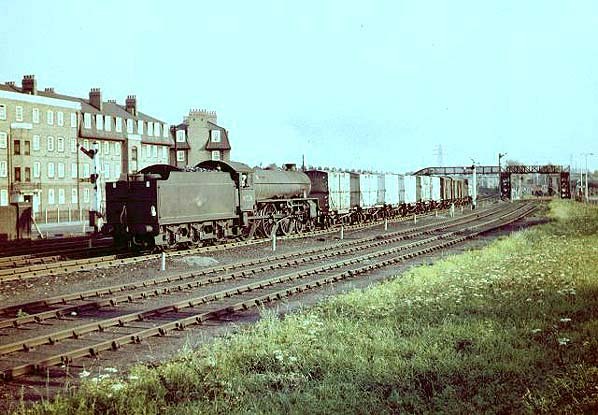 The former LNWR goods depot closed on 6th March 1967 although a private siding remained open after that date. The site has now been cleared and Wickes and Carpet Eight stores have been built on the site. An infilled bridge survives at the back of the car park, this is clearly shown on photographs dating back at least to the 1930's but another line under Barking Road is not shown on any maps and it is unclear what its purpose was.